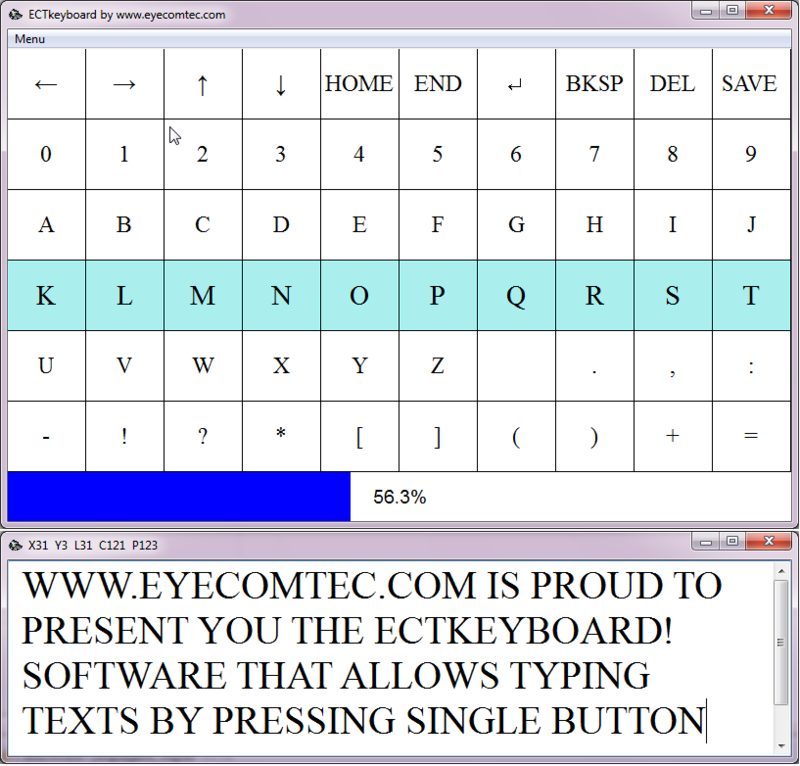 ECTkeyboard (EyeComTecKeyboard) is a program that allows individuals with reduced motor skills to type text letter by letter. 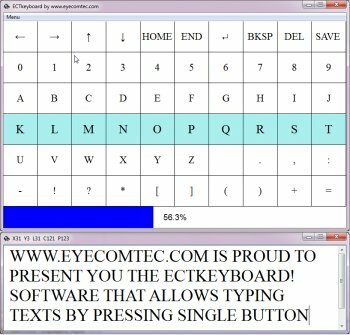 The program works with eye tracking applications (for example, ECTcamera and similar programs), allowing to select characters in a text matrix through eye movements and blinking. It also supports direct input of characters from the virtual keyboard through contracting a muscle or a group of muscles, drawing the air or other means available to people with limited motor skills.